An antigovernment rally in Bahrain on Friday resulted in the death of a 16-year-old boy, after the unarmed teenager was beaten by police, Human Rights Watch said. Police allege that the teenager attacked officers with a Molotov cocktail. ­Hussam Al Haddad was knocked down by rubber buckshot, and a man in civilian clothing repeatedly kicked the teenager while nearby police officers stood and watched, eyewitnesses told the Bahrain Center for Human Rights (BCHR). Haddad was blood-soaked and unconscious by the time a relative attempted to intervene. BCHR member Said Yousif Al Muhafdha visited Salmaniya Hospital, where the teenager was pronounced dead, but was forced to leave and was not allowed to see the body. 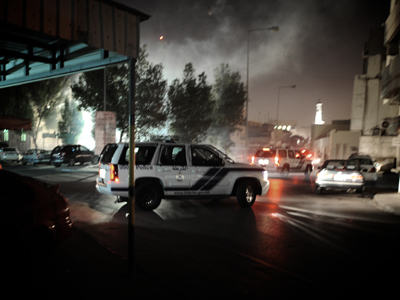 The Bahraini Ministry of the Interior confirmed the death, calling Haddad a 'terrorist' and claiming police officers were defending themselves. 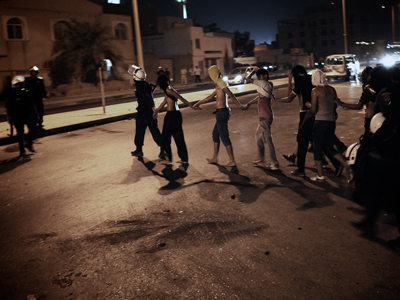 Anti-regime protests in the island nation of Bahrain, home to the US Navy's 5th Fleet, have continued for the past year and a half since beginning in February 2011. 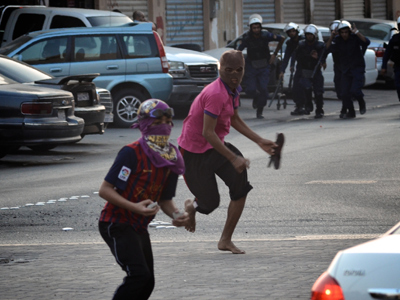 At least 50 people have been killed in the clashes, with nine of dead under the age of 18. 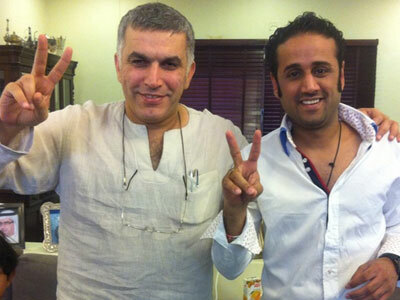 Human Rights Watch has repeatedly condemned Bahraini police for using excessive force against protesters. 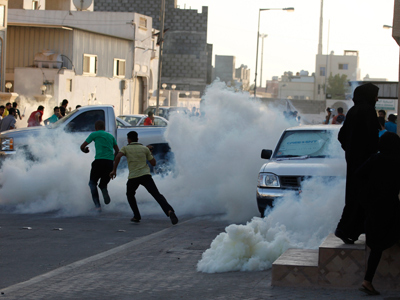 The Bahraini Ministry of the Interior previously promised to investigate the killing of unarmed civilians. No law enforcement officers have been charged in connection with the deaths. Protesters, mostly belonging to Bahrain's Shia majority, are demonstrating against the country's Sunni monarchy and demanding increased political representation. 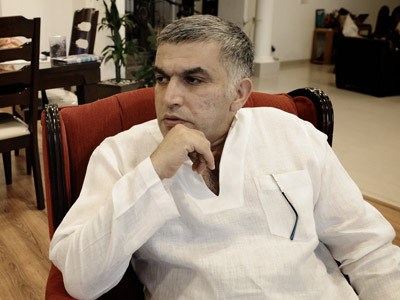 The killing of Haddad took place the day after prominent Bahraini opposition activist Nabeel Rajab was sentenced to three years in jail for using Twitter to organize antigovernment rallies.